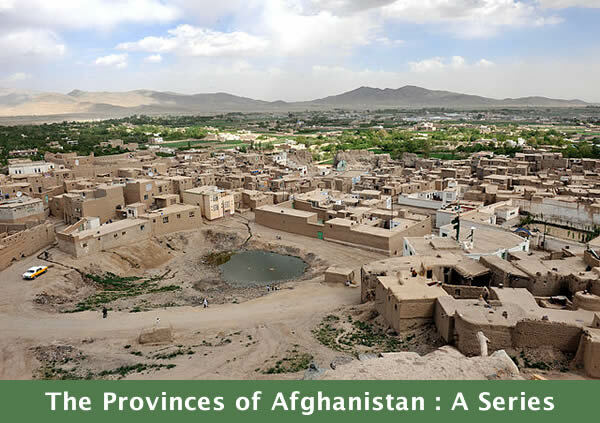 Editor’s note: This is the first piece in a new occasional feature by AWWP writers on the provinces of Afghanistan. I was born in Ghazni province of Afghanistan, the province that nurtured Afghan kings, poets, and educators. With warm summers and cold winters, there are many things that make Ghazni a good province, although today parts of it are very insecure because of the Taliban living there. But when I grew up in Ghazni it was safer. People in Ghazni come from many ethnic groups, including Pashtoon, Tajik, Hazara, and Hindu. I was born in a small Hazara district called Jaghori and I lived there for seventeen years. People in Jaghori are open minded. They are strong believers in education and in change and it is common to see girls and boys going to school together. In fact, some parents encourage their daughters even more than their boys to go to school and to universities. In Jaghori district there are more than seventy high schools, one institute, and one university. More than 80 percent of girls are educated. Many students either go abroad to study or they go to Kabul for schooling and rent rooms there. For example, my niece Farzana grew up in Jaghori. Now she is married and has a two-year-old daughter and she is a medical student in Kabul. She rents a room in Kabul and leaves her daughter at home with her husband in Jaghori. Women in Jaghori are so committed to their education that they will leave their family back at home to get a university degree. Historically, Ghazni began as a bazaar and its religion was Buddhism. When the Muslim Arabs came, the people adopted Islam. Ghazni was the capital of Afghanistan once upon a time, and its history includes a series of kings during the period known as the Ghaznavid Empire. By the eleventh century, Ghazni became the center of cultural and literary life in Afghanistan, with a thousand schools in the era of Sultan Mahmud. Poets like Abu Raihan Albironi, Firdawsi, Abdul-fazl Bayhaqi, Abdul Hay Gardizi, Sanayi, Masood Saad Salman, and Farrukhi Sistani were all in Ghazni. In 2013, Ghazni was named the Asian capital of Islamic culture. It has many ancient sites, like Arg Ghazni, the Minaret of Ghazni, Sultan Masood Ghaznawi Palace, Sabuktagin’s grave, Sultan Mahmood Ghaznawi’s grave, Sanayi Ghaznawi’s grave, and the Sardar hills. It also has historic entertainment gardens the Ghaznawi-period Success Garden, Hundred Thousand Garden, Mahmoodi Garden, and Thousand Tree Garden. Kings and their guests gathered with educators, poets, and singers in these gardens. Even though Ghazni is the best province and the world capital of Islamic culture, it is so unsafe that I have not been home in four years. The Taliban kidnap people. There are bombings and fires. Girls in Ghazni province now wear burqas to school. In some districts, the Taliban have set fire to girls’ schools. So in the city the girls go to school hidden under burqas. I hope that one day it will be secure. Photo by Tech. Sgt. James May. Thank you for telling us about Ghazni and your life as a student. We wish for the day that you will be able to travel home to see your family and watch new leaders come forth even better than in the past. We can’t come to your country, however, we want you to know that we want to stand with you and encourage you to higher and better things.